Developing a quality suspense/horror movie, is bad enough but a suspenseful/horrific game is even worse.. The placing of suspenseful moments, jump scares and quiet instances are all key components to create an amazing Horror experience and must be carefully thought and placed throughout the movie or game length. This placement is so relevant that that even if a few are just a little out of place, they can easily overstay its welcome, annoy the viewer/player, or become predictable, which ruins the experience. In 2016, Bloober Team launched a horror game that focused more on the psychological aspect and caught everyone by surprise. Layers Of Fear was praised by fans and media for its amazing quality (check our review of the Switch version, HERE). To follow this successful endeavor, the team developed and released a new game called >observer_, which mixtures the psychological horror aspects with a cyberpunk theme. After playing the game at BGS and seeing how well the Switch version was coming, I couldn’t resist the chance to see if the demo and the quality of its predecessor, carried over into the final version that is available now on Switch. My main concern when I first heard about the port was about the visuals. The game was originally very detailed and beautifully done, which would require a great amount of work to keep the visuals on Nintendo Switch without compromising quality. When you look at the final product, it is noticeable that a few visual techniques had to be applied to help achieve it, such as making objects that are distant a little more blurry, but that doesn’t detract from the visuals, in some cases, I can even say, they make some scenarios even more stunning and appealing. Of course, with this process of porting the game, some other not so good things occur, such as a few glitches, a few slowdowns or a few scenes that didn’t totally retain the quality and fidelity to the original version, but most of them aren’t that noticeable and even the glitches (I ran into 2 or 3) and slowdowns, aren’t that distracting and don’t break the immersion completely. To create an even more precise immersion, the Bloober Team paid a lot of attention into creating a world that isn’t only rich in visuals and scares, but also, the sound design is very rich and complex. The game’s score and sound effects are methodically created and placed in a way to make your experience as tense as they can make. This approach worked incredibly well and may have left me tense in a lot of instances, some that eventually proved to be just a false alarm. When you play this game, do yourself a favor (or don’t, if you are easily scared), and play the game with headphones to experience the game and the audio design to the fullest. When you start the game, you are introduced to human society in the year 2084, where those who are alive, survived a deadly plague called Nanophage and a War, and now, they turned to any means available to distract themselves from their condition. We are also introduced to our character, Daniel Lazarski, a police officer and neural detective (or Observer). He receives a phone call from his son and goes to the C sector, one of lowest sectors of this dystopian society, in search of answers and, by using his mind hacking abilities, may discover more than he wanted to. The game’s main story and side plots are incredibly well developed and exceeded what I expected from the game. The plot is intriguing to discover and its pace is so well done that you will get a piece of the puzzle at a time and it can have a whole different meaning when seeing in a bigger picture. Each plot line also deals which a specific topic, normally related to conflicts we have and can have as humans, that range from drug consumption to virtual realities and more. I never expected to finish each of the plot lines reflecting on many of these questions, but the game naturally and exceptionally made me do it. It also made me choose what I thought would be better to do, instead of giving the answer and affirming that there is only one way to go through that situation. One of the main gameplay aspects is the Mind Hacking ability that the protagonist uses as a detective to interrogate victims and suspects. The sections when he enters a person’s mind are some of the most interesting and crazy parts of the game. Following the idea that the mind is a complex machine, these scenarios are some of the craziest and insane moments I have played in a game. These scenarios are also used to be some of the main areas of tension and scare and are beautifully crafted to be a unique, delightfully unpredictable and tense experience. But the scares and tense moments aren’t limited to these areas and will make you reluctant to enter a new room or even come back to an old one. There are also many puzzle elements in this game and most of them are based on your observations of the surround. These puzzles help control the pace of the experience and some give a satisfying sensation when solved. My favorite series of puzzles has to be the mini-game found in the computers throughout the area as it is a nice change of pace and can be a real brain teaser. Many of the controlling characteristics are an adaptation of the control scheme seen in Layers Of Fear: Legacy, their previous port to Switch, to fit the necessities of the gameplay. When you start, you may get confused by some of the first-glance odd control mapping, but after a while, it ends up becoming natural and you won’t have any big problems with it. As in the previous game on Switch, >Observer_ also supports motion controls for a few actions, such as opening doors or moving objects around. It is an interesting addition, that is fun to play with for a while, but after some time, I ended up coming back to button input, since it is a lot more precise. Finally, >observer_ also implements Rumble in an interesting way. Although it doesn’t use the HD Rumble to its full potential, as you walk or as things happen in the mind hacking, the control will vibrate properly to create a more interesting and tense experience. With >observer_, Bloober Team has created a game experience that is as amazing as it is intriguing and crazy, and that also made me reflect more about human nature, than I thought I would. 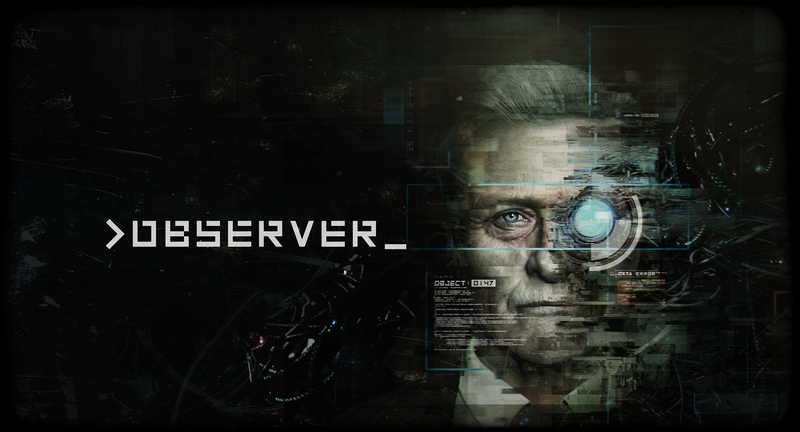 This game isn’t for the faint of heart or for those that aren’t too keen into detective work, but even if you fit in that last aspect, I would recommend that you give >observer_ a try, I’m sure you will leave the experience at least, liking it or satisfied with it as I can totally say I am.